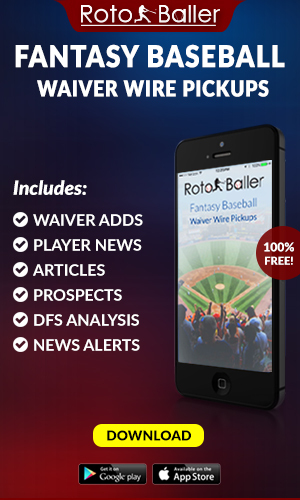 Welcome back RotoBallers. With the MLB season just a few short weeks a way, it's time to update our rankings and analysis to account for injuries, free agent signings, spring training risers/fallers and more. We kick off our updated March rankings today with the first base position. 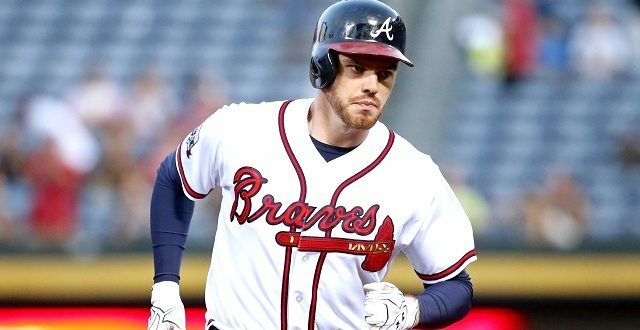 Harris breaks down each tier and provides analysis for which players might be overvalued or undervalued in fantasy baseball drafts. The position is very strong at the top and provides incredible depth, particularly in the power department. Many of the names remain the same, but some of the regulars have fallen and been replaced with younger talent. Let's take a look. The cream of the crop. All three guys -- Paul Goldschmidt, Joey Votto, Freddie Freeman -- should post something in the realm of 30/100/100 with a .300/.400/.500 slash line. Goldschmidt could lose some power with the new humidor in Chase Field, but he holds onto the top spot as a result of his 20-steal ability. 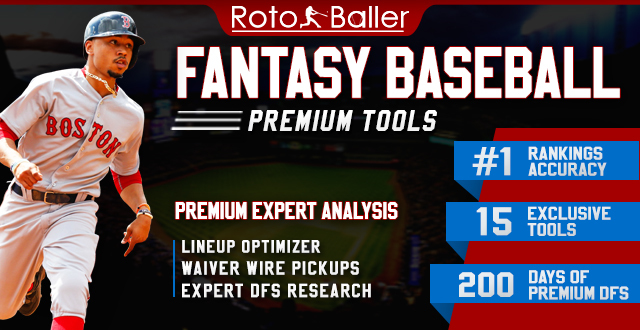 Anthony Rizzo is one of the safest fantasy options, with at least 30 HR and a .380 OBP in each of the last four years. Cody Bellinger broke out in his 2017 rookie campaign, and while he may not improve upon his 39 home runs, he should be able to remain in that range while bolstering his rate stats as he cuts down on his strikeouts. 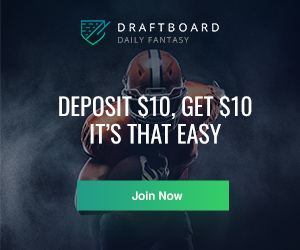 All six of the rankers agree that both players should be drafted within the top 30. Three durable guys with 30-homer power in Jose Abreu, Edwin Encarnacion and Wil Myers. Myers may not put up the runs and RBI totals of the other two, but he brings solid value in stolen bases. 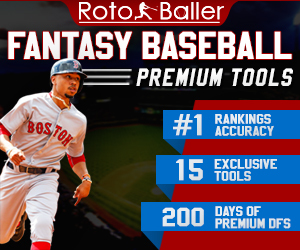 Rhys Hoskins doesn’t have quite the same track record, but he provided fantasy owners with a glimpse of something special late in 2017, smashing 18 bombs over just 212 plate appearances. There’s not a whole lot of disparity in the rankings of these players, and all four should finish the season firmly in the top-15 first basemen. Ignore Buster Posey here. You’re not drafting him to be your first baseman. Just don’t do it. End of story. Similarly, if Ian Desmond doesn’t bring his fly ball rate back up around 30 percent (20.6 percent last season), he won’t serve as a viable first base option, and should be limited to an outfield slot. In the rest of the tier, you’ll find a couple of OBP machines in Carlos Santana and Matt Carpenter, and two young sluggers with limitless power in Matt Olson and Greg Bird. Then you have two veterans in Ryan Zimmerman and Justin Smoak who revitalized their respective careers with monster 2017 campaigns. Both come with a regression warning, but they should still produce at a decently high level. Additionally, new San Diego Padre Eric Hosmer has proven he’s capable of contributing despite the frustratingly groundball-heavy batted ball profile, and is deserving of selection in the first seven or eight rounds. Miguel Cabrera is one of the more polarizing players on our list. His batted ball profile is encouraging, but he is coming off a season in which he slashed just .249/.329/.399 with 16 HR-- mostly due to a nagging back injury. Clearly, four of our rankers believe there’s reason for optimism, but I’m skeptical he can remain healthy, and wouldn’t spend a top-100 pick on the future Hall of Famer. Josh Bell and Justin Bour have 30-HR potential and decent on-base skills, but both players saw their respective teams get dismantled and could have a tough time racking up runs and RBI. Joey Gallo is what he is -- a low-average hitter with a ton of power -- and there will be fantasy owners who can look past his flaws, and others who are unwilling to invest in a guy who will likely hurt them in AVG or OBP. Jay Bruce is similar in the sense that his rate stats will be suboptimal, but at least he has a history of driving in runs to go along with 35-HR pop. Bill still believes in Hanley Ramirez, despite an obvious decline in skills and the fact that he is technically out of a starting role in Boston. In an era where power is anything but at a premium, Chris Davis and his .215/.309/.423 slash line just don’t cut it. He’d need to revert back to his 40 HR days in order to make a real impact. Eric Thames slashed .225/.334/.447 with 20 HR from April 28 through the end of the season. That’s probably roughly what his 2018 stat line will look like, and I’ll be staying away-- especially with the possibility of losing playing time to Ryan Braun. Marwin Gonzalez falls under the Posey category-- he’s much better off in literally any other roster spot. This is where we really start to drop off. Albert Pujols can still hit 25 HR and drive in a bunch of runs, but his OBP is unlikely to scrape .300. Ryan McMahon is appealing given his power potential and home field, but he is a completely unproven commodity-- only four of our six experts have ranked him as of our last update. Trey Mancini, Logan Morrison, Yonder Alonso and Ryon Healy all have starting jobs and should all hit between 25-30 HR with respectable rate stats. These guys are basically interchangeable and likely won’t finish as top-12 first basemen, but any of them can help you late in drafts. Concussions have derailed Brandon Belt’s career a bit, but he still possesses strong on-base skills and tied his career high in homers despite playing just 104 games. Bill believes the Giants’ first baseman is in for a big year. Finally, Yulieski Gurriel would have been higher on the list had it not been for a hand injury, and is a risky draft day selection as a result. Two guys stick out to me here-- C.J Cron and Lucas Duda found secure jobs in the later part of the offseason, and both could smash 30 homers with a full slate of at-bats. Both should be useful in deeper formats. Beyond that, there’s not much to take notice of in this tier. 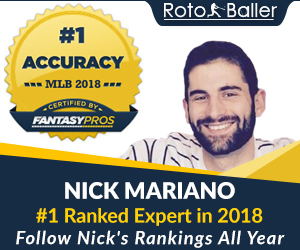 Jedd Gyorko, Colin Moran and Jose Martinez are better off used in other positions; injuries and the aging process have rendered Victor Martinez and Adrian Gonzalez undraftable in standard leagues; and Mike Napoli, who is coming off a .193 batting average and could only find a minor league deal this offseason, shouldn’t be on any radars, either. Mark Reynolds is still without a job, and wouldn’t hold any value unless he lands back in Colorado-- which seems very unlikely at this point. Of this group, only Joe Mauer is expected to see consistent at-bats, and he provides next to nothing in the power or speed departments. Mitch Moreland is likely to split time with Hanley Ramirez, while Tommy Joseph, Kennys Vargas and Matt Adams will hold down backup roles. Dominic Smith is set to begin the year in Triple-A, Wilmer Flores will remain in a super utility role, and Matt Holliday is currently jobless.